برای پنهان‌سازی سازه­‌ها و تأسیسات زیرسطحی، شناخت عملکرد و توان فناوری­‌های سنجش از دور نوین و پیشرفته از ضروریات اساسی است. یکی از این فناوری‌­ها در سامانه‌های پر قدرت گرم کننده‌ی الکترومغناطیسی یونسفری بکار گرفته شده است که از امواج الکترومغناطیسی پر قدرت در محدوده فرکانسی 3 تا 10 مگاهرتز استفاده می‏کند. هارپ با ساطع کردن این امواج به منطقه‌­ای از یونسفر موجب گرم شدن آن منطقه شده و این گرمایش منجر به گسیل امواجی با محدوده فرکانس خیلی پائین VLF و ELF می‏شود. هدف اصلی این تحقیق تحلیل و شناخت قابلیت سنجش از دور سامانه‌های پر قدرت گرم کننده‌ی الکترومغناطیسی یونسفری (هارپ)، در شناسایی اهداف زیرسطحی می‌باشد. در این پژوهش با بهره‌گیری از روش ترکیبی تجزیه و تحلیل داده‌های چندگانه بر مبنای توصیف و تحلیل داده‌های جمع‌آوری شده از منابع علمی و تئوریک، گزارشات رسمی و معتبر، بررسی نتایج آزمایشات تجربی انجام گرفته در جهان و ایران و در نهایت اخذ نظر خبرگان و صاحب نظران جامعه آماری تحقیق به روش میدانی، به سؤال اصلی تحقیق پاسخ داده شده است. نتایج حاصل از این تحقیق نشان می ‏دهد که سامانه‌های پر قدرت گرم کننده‌ی الکترومغناطیسی یونسفری، قابلیت سنجش از دور و امکان شناسائی اهداف زیرسطحی را دارند. بر این اساس، این سامانه‌ها تهدیدی جدی برای شناسایی اهداف زیر سطحی محسوب می‌شوند؛ و لذا در ادامه تحقیق، راهکارهای دفاع غیرعامل در برابر این تهدید نیز ارائه گردیده است. Recognizing the performance and ability of advanced remote sensing technologies is one of the essential necessities to hide subsurface structures and facilities. One of these detection technologies that has used in Ionospheric Powerful Electromagnetic Heater Systems, is HAARP. This system uses electromagnetic fields signals in the frequency range 3 to 10 MHz. HAARP emits waves into one of the layers of the ionosphere and then warm the desired area. This leads to emit very low frequency waves in the range of VLF and ELF. The main objective of this research is to analyze the exploratory capabilities of the HAARP system remote sensing in detecting subsurface targets. In the case of the accuracy of remote sensing capabilities and the ability to identify subsurface targets by HAARP, it can be concluded that this system is a very serious threat to identifying major subsurface targets in the country and poses a serious challenge to inactive passive actions. Therefore, it is necessary to carry out strategic, operational and tactical planning to deal with this serious threat. However, in case of inaccuracy of this capability, it will resolve the uncertainties and anxieties of the minds of the commanders and officials of the country, especially in the field of passive defense of the country.The only research published in the country by the men of Mardani and Razavi Nejad (Mardani et al., 2011), published as a two-volume book, address the issue of the ability of the HAARP to make climate change. But in the area of detecting subsurface targets, no published scientific research has ever been presented. This research utilizes a combination of multiple data analysis based on analyzing the data collected from scientific and theoretical sources, official and authoritative reports the results of experiments performed and finally the main research question has been answered by taking the viewpoints of experts and scholars of research statistical population. The type of research is applicable and the research method is descriptive-analytical and case-based. 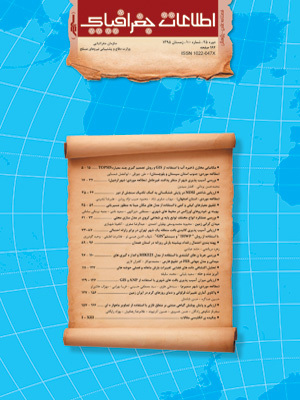 In this research, the required information is obtained through the search of Internet resources, authoritative scientific documents, books, internal and external publications, dissertations and researches carried out on the topic, opinions of experts based on interview and used to the Delphi scientific method in the field.The statistical population of this research includes scholars, academic experts and research centers in the fields of remote sensing, Ionospheric Powerful Electromagnetic Heater Systems and high-power radars in the country. The sample population of the study was 32 experts who were purposefully selected from the statistical population of the study. The main objective of this research is to analyze the capability of remote sensing of high-power electromagnetic heat sink systems (HAARP) in identifying subsurface targets. The HAARP system uses electromagnetic fields with signals in the frequency range of 3 to 10 MHz, and can operate in the same way as the frequency domain electromagnetic geophysics. The Harp system, as an ionospheric heater, modifies the ionospheric heating using polar electrodes of the desired frequency waves and uses it as a source of waves for remote sensing and identifying subsurface targets. The results of this research show that the electromagnetic ionospheric heater power systems have remote sensing capabilities and can recognize subsurface targets. Accordingly, in this research, some solutions for passive defense against Remote sensing threats of HAARP system is provided. In general, HAARP provides the capability of a remote sensing system and subsurface radiography globally, and is a good option for underground exploration with the CSAMT approach. In this research, using the combined method of analyzing multiple data based on the description and analysis of data collected from scientific and theoretical sources, official and authoritative reports, examining the results of empirical experiments, and finally obtaining expert opinions and owner the statistical community of the field survey has responded to the main question of the research. The results of this study show that high-power electromagnetic immune systems (HAARP), has remote sensing and the ability to identify subsurface targets. Accordingly, these systems are considered to be a serious threat to identify sub-targets, and therefore, in-depth research has suggested inaccessible defense strategies against this threat .Also, the results of the research showed that if the equipment is buried in a high conductivity ground, they cannot be detected by the HAARP VLF waveforms. If the waves of the HAARP system are of the type of ELF waves used in the CSAMT method, it can be used to prevent detection in addition to conductive ground, to deploy structures at depths of more than 150 meters. 1- مردانی شهر بابک، رضوی نژاد؛ محمد، روح اله. (1390). "سامانه‌های گرم کننده یونسفری (هارپ) "، انتشارات واحد الکترونیک دانشگاه آزاد اسلامی، چاپ اول. 2-Annan, A.P. (2001). “Ground Penetrating Radar”, Sensors & Software Inc.
4-Cole, Dermot “HAARP closure postponed until 2015”. Alaska Dispatch News. Retrieved 2015-06-03. 6- Chavez, A. D., Jones, A. G. (2012). The magnetotelluric method Theory and practice، Cambridge University Press. 7- Eugene, M., Westcott, D., Sent man, D. (2001). “Geophysical Electromagnetic Sounding Using HAARP”, Final report, 2001. 8- Farmer, M. (1995). “Mystery in Alaska”, Popular Science, Sept. 1995. 9- Gregory, A., Newman. (2002). High Frequency Electromagnetic Impedance Imaging for Vadose zone and Groundwater Characterization, Final report, Sandia National Laboratories. 10- Katherine, E., Anderson, Russell, D., Edge, Abigail, J., Hackston, Shoba Maraj, Michal, J., Romanowski, and Seamons, R.L. (2008). Controlled Source Audio Magneto-Telluric (CSAMT) Geophysical Investigation of The Middle San Pedro River Basin, Southeastern Arizona, and Geophysics Field Camp. 11- McCoy, Robert. Institute”. American Geophysical Union Fall Meeting 2015. Retrieved 10 September 2015. 12- Moore, R.c., Inane, U. S., Bell, T. F., and Kennedy, E. J. (2007). ELF waves generated by modulated HF heating of the aurora electro jet and observed at a ground distance of 4400 km. JOURNAL OF GEOPHYSICAL RESEARCH, VOL. 112, 2007. 13-Nabighian, M. N., (Ed). (1991). Electromagnetic methods in applied geophysics applications/ parts A and B, Society of Exploration Geophysicists. 14- Papadopoulos, D. (2005). Basic Ionospheric VLF/ELF Generation. PARS Summer School 2005. 15- Palatino, M., Inane, U. S., Bell, T. F., Pickett, J., Kennedy, E. J., Trotignon, J. G., Rauch, J. L., and Cantu, P. (2004). Cluster observations of ELF/VLF signals generated by modulated heating of the lower ionosphere with the HAARP HF transmitter. 16- Paul, A., and James, C. (2003). HAARP Diagnostic Instruments; High Frequency Active Aurora Research Program. Environmental Research Papers, No. 1249. 17- Resell, Ned, “Under new management, Alaska’s HAARP facility open for business again”. Alaska Dispatch News. Retrieved 10 September 2015. 18- Stubble, P. and Kopka, H. (1977). Modulation of the polar electro jet by powerful HF waves, J. Geophysics. Res., 82, 2319–2325. 19- Telford, W.M., Geld art, L. P., sheriff, R. E. (1989). Applied geophysics, Cambridge University Press. New York. 20- Tikhonov A. N. (1950). On determining electrical characteristics of the deep layers of the Earth’s crust. Doklady, 73, 281-285(8). 21- Unworthy, M. )2007(. Magnetotelluric-field techniques. 22-Wright, J.L. (1988). “VLF interpretation Manual”. 23- Zonge, K.L. Hughes, L.H. (1991). Controlled-source audio-frequency magnetotellurics. In: Nabighian, M.C. (ed. ), Electromagnetic Methods in Applied Geophysics, Vol. 2: Applications, Part B. Tulsa: Society of Exploration Geophysicists, 713–809.